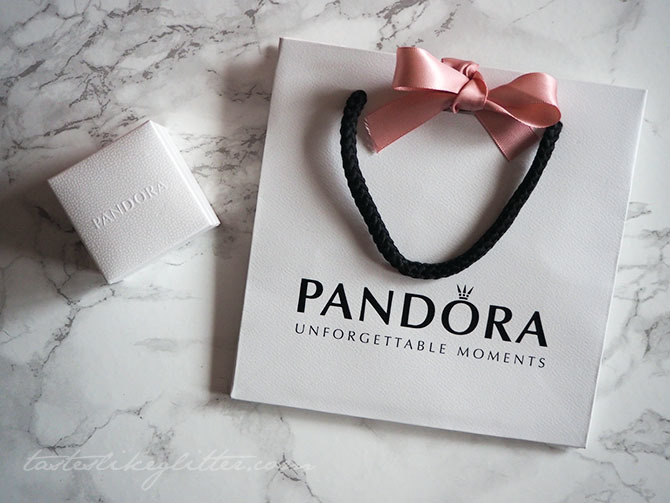 For the longest time I've been lusting after some bits from Pandora, I blame the girls at work. Christmas was good to me and I managed to acquire quite a few gifts to start my collection. 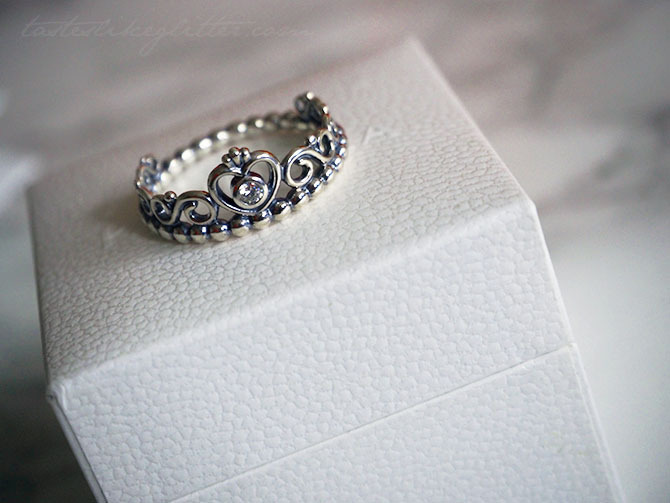 One of my favourite pieces is something that can make you feel like a princess everyday and who doesn't want that? I've been eyeing this up in stores for ages and it feels good to finally have it. I was quite surprised when I put it on as it feels so smooth on the finger. Which sounds a little odd but that's in part due to the base of the ring being the same as their bubble stacking ring. It's completely smooth so it feels completely to different to the flat bands I'm used to. 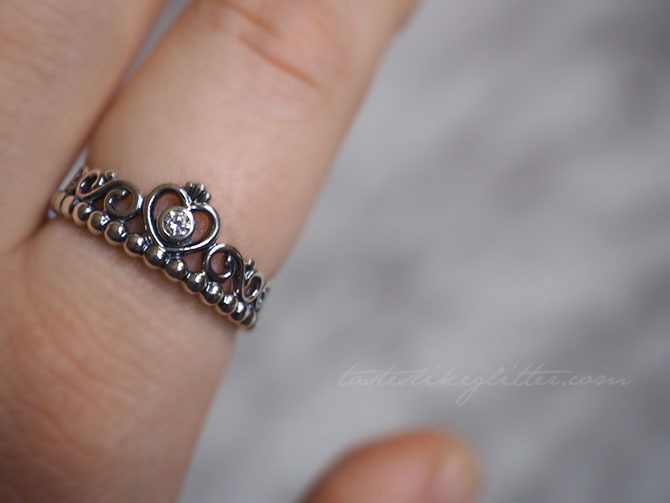 With the bubble band being the base, on top of that we have the signature Pandora heart with a cubic zirconia in the middle. Either side of the heart we have 3 swirls decreasing in size, leaving the back third of the band open and just the simple bubble. Again, something else that helps to add to the comfort of wearing this ring. This is part of the stacking range so you can either wear it on it's own or pair it with others to create something unique to you. With Valentine's right around the corner, what better reason to treat yourself or leave hints for someone else.